Compass & Coffee Spoons: It's Beginning to Look a Lot Like Christmas! The foot+ of snow has made me stop and focus on things, such as this blog! It's been a busy December, and I'm SO glad we got this pile of the white stuff to quiet things down. 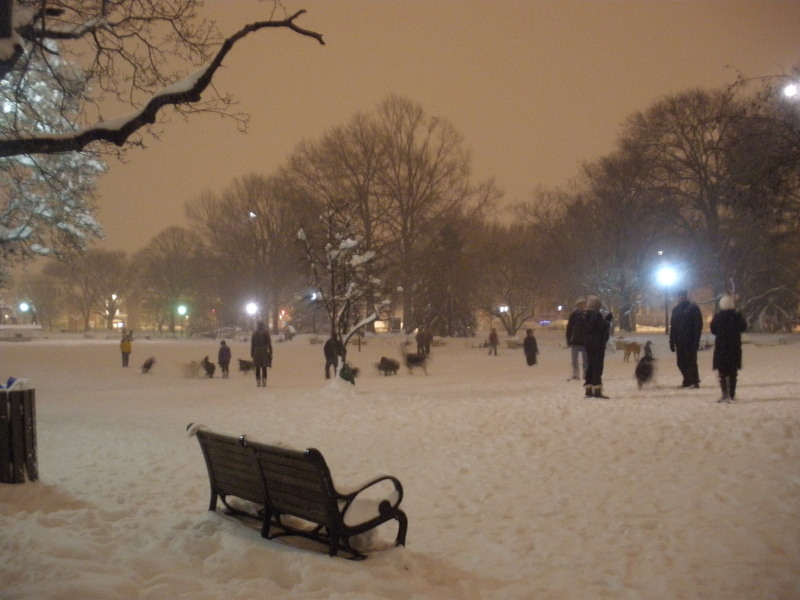 I went out for a walk and everyone was being so friendly, including all the doggies in Lincoln Park. Everything is wonderful and serene, including my car, seen buried here. I unearthed it, because in Pennsylvania, we clean snow off before it's done, so that it's easier. They don't do that here. Inside, all is warm and bright. My decorations have been up since the beginning of December. 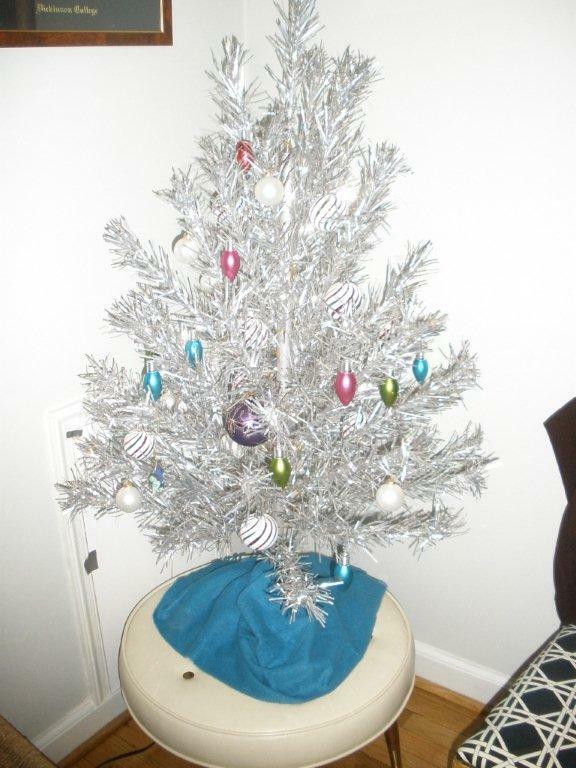 I added one big item to my Christmas repertoire this year: a vintage aluminum tree. I took a chance on a 4 foot beauty on Ebay, with the only picture on the listing being the box, which was in rather bad condition. But, as it turns out, it was wonderful, and rather affordable at $37 including shipping! 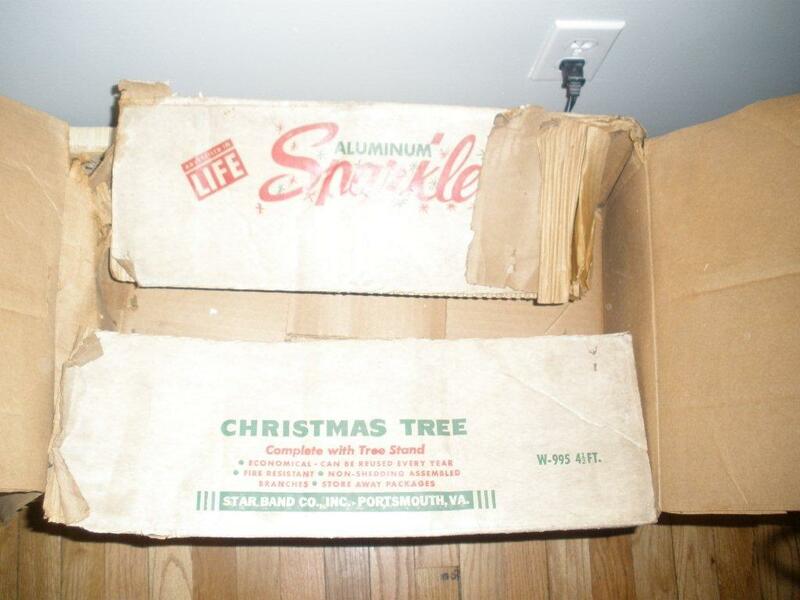 The funniest part about this is that the box says that the tree was originally sold at G.C. Murphy Co. in Beaver Falls, PA--on the other side of Pittsburgh from where I grew up. 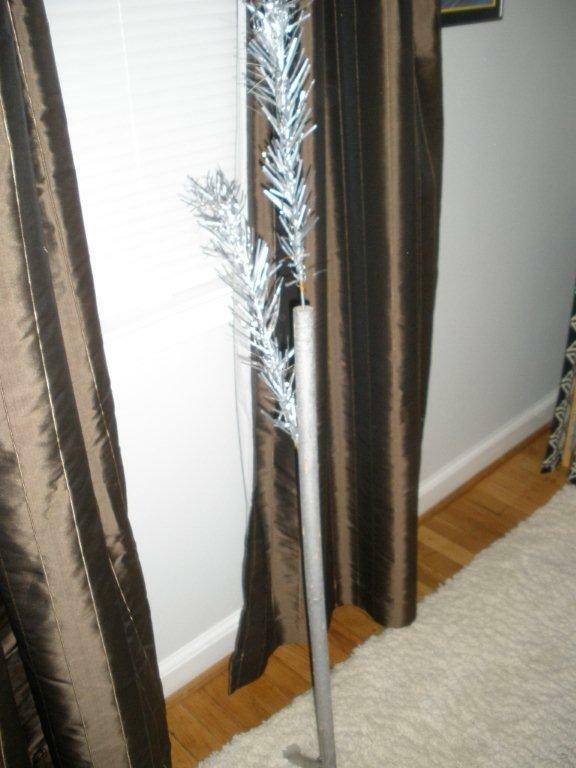 These aluminium trees are brilliant, both in sparkle and in construction. They fit into such small spaces, they're perfect for apartment dwellers. 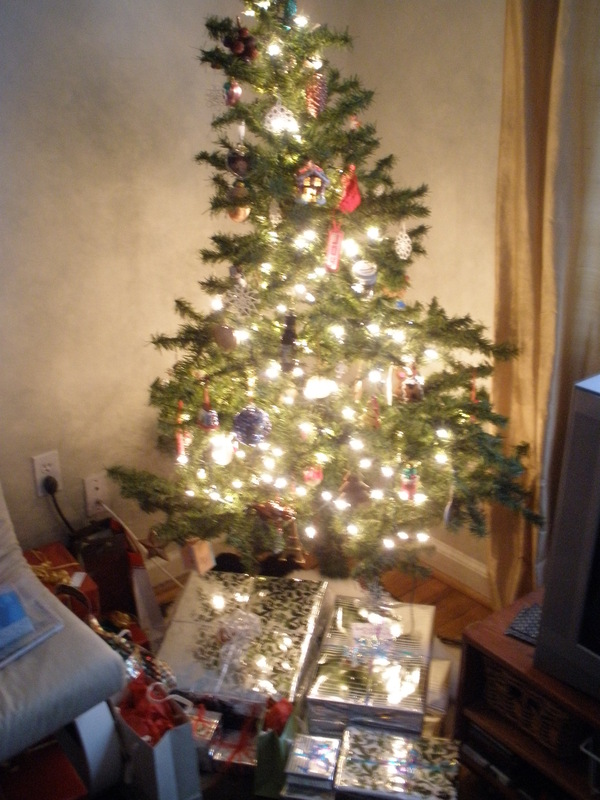 Much less space than traditional fake trees. Here's the tree trunk with two branches in. They come in little paper sleeves and are all the same size, so there's no fooling around with putting slot A in slot B. 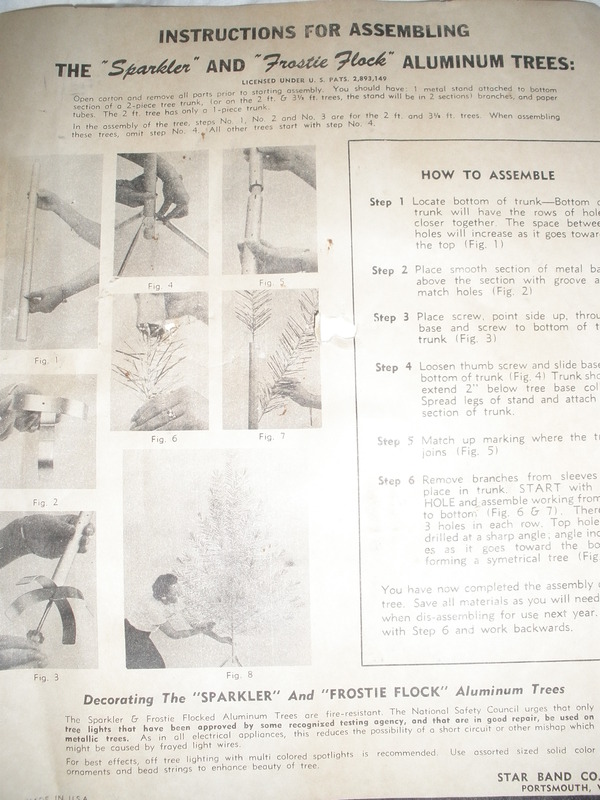 Besides after seeing the directions, I figured that if June Cleaver could do it, so could I! I am now toasty and warm, perched on my freshly vacuumed sofa...enjoying the brief respite from the hectic go go go of everyday life! Hope you too are merry and bright! yes indeed, Kim, I have seen those lovely baubles! :) I have some Shiny Brites at my parents house that belonged to my grandparents...but could always use a few more!